The word masiyal (மசியல்) literally means ‘mashed’. This kuzhambu derives its name from the fact that country vegetables used in this preparation are mashed into a pulp. 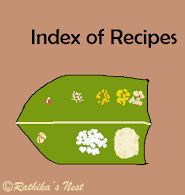 Masiyal is a simple preparation, which does not require sambar or kuzhambu powder. It has a tangy taste and can be served with steamed rice or with breakfast items such as idly, dosa, rice uppuma or pongal. Traditionally this kuzhambu is made in a kadai. Nonetheless, I use a small pressure cooker or handi to reduce the cooking time. Here we go. Method: Wash and cut egg plants and ladies finger into small pieces. Peel and cut plantain into small cubes. Keep aside. Heat oil in a small pressure cooker or handi, add mustard seeds and when they start to sputter, add split urad dhal and sauté till the dhal turns golden brown in color. Add the cut vegetables and ½ teacup (100ml) of water, turmeric powder and required salt. Cover and cook on medium flame for 5 whistles. Switch off the stove. Once the pressure subsides, open the lid; add chopped green chillies, jaggery and asafoetida. Mash the vegetables with a ladle into a smooth pulp. Meanwhile, soak tamarind in warm water for 15-20 minutes. Later squeeze tamarind and extract the juice. Add the tamarind juice to the vegetable pulp and mix well. Bring it to boil. Now reduce the fire and simmer for 3 minutes. Switch off the stove. Garnish with curry leaves. Serve hot with rice, idly, dosa, pongal or rice uppuma.